Thank you for voting us the best optical service centre in our region for two consecutive years! University Vision Centre offers the latest integrated eye care with the most advanced and fashion forward optical services. We carry the most current designer frames, sunglasses and all digital lenses in our field. Your eyewear is customized to suit your very own lifestyle. 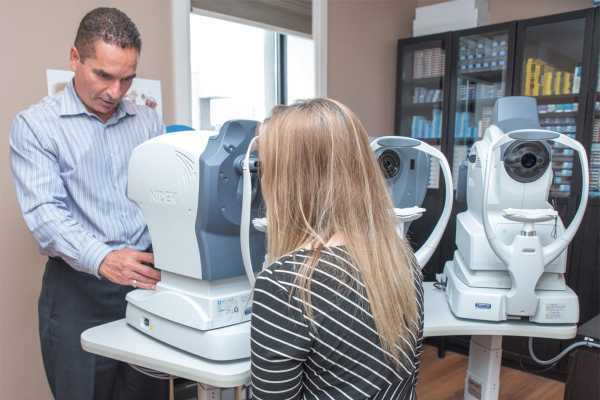 Our team and examination services deliver the most accurate results of any assessments and ensure the quality of your vision care as well as personalized contact lens dispensing. Our state of the art laboratory has given our licensed opticians and technicians the capability to craft the most accurate eyewear in the industry. University Vision Centre is proudly owned and operated locally since 1991. Request an appointment for your eye exam at University Vision Centre. Simply click the button below and fill out the form. We will then contact you to confirm your booking. It's that easy! Creating a visual difference one patient at a time.